Set a new NCAA career scoring record for kickers (466 points)…established new NCAA, ACC and FSU records with 88 career field goals…his 88th career field goal in the Orange Bowl win over Northern Illinois pushed him past Georgia’s Billy Bennett (87, 2000-03)…posted 140 points to set a new ACC all-time single season scoring mark… single-handedly outscored five of FSU’s opponents this season (Murray State 15-3, Savannah State 7-0, Wake Forest 10-0, Boston College 15-7 and Duke 12-7)…ACC scoring leader among kickers with 10.0 ppg…kicked a career-best 56 yard field goal against Duke…converted all five of six field goal attempts of 50+ yards…made over 93 percent of his combined kicks (PAT and FG’s 290- 319)…became the Seminoles’ all-time leader with 290 career kicks made (202 PAT’s and 88 FG’s)…is one of only four kickers in school history who has made 200 or more kicks and the only one who has made 250 or more kicks…his 202 career PAT’s are a new FSU mark, established after his final conversion in the Orange Bowl…set new career-highs in FG made (25) and attempted (30)…has kicked at least one field goal in 46 career games to set the all-time NCAA record, previously held by Blair Walsh of Georgia (45, 2008-11). Third-year starter who converted 22 of 27 field goal attempts, establishing a new personal-best 81.5 percent single-season conversion rate…finished 44-of-44 on PAT conversions, extending his school record streak to 130, which tops all active FBS kickers and is the second-longest streak in ACC history…near-unanimous choice as first team All-ACC kicker…selected as one of three finalists for the Lou Groza Award, presented to the nation’s top placekicker…earned CoSIDA Capital One Academic All-America second-team honors on the strength of his 3.82 cumulative GPA… one of three Seminoles selected to the ACC All-Academic Football team, earning the honor for the third straight year…made his first 10 field goal attempts, extending his career-best streak to 17 in a row, which ranks second in school history behind Graham Gano’s 18…Hopkins’ 63 career field goals ranks fifth in school history…led the ACC in scoring with 110 points, pushing his career total to 326, which ties for third in FSU history…including his 71 placement kicks (FG/PAT combined), Hopkins has not had a kick blocked in 223 attempts, spanning his entire career…had a season-long 53-yard field goal against No. 1 Oklahoma; the fourth of his career of 50 yards or longer…collected at least one field goal in 12 of 13 games, with a season-high of three at Boston College…scored 10 or more points in six games, including a season-high 14 against Charleston Southern…beyond his placement kicking prowess, Hopkins boomed 29 touchbacks as FSU led the ACC in net kickoff with a 48.6 average…had at least one touchback in 12 of 13 games and twice posted a season-best five (Charleston Southern, Clemson)…completed his undergraduate degree in media/communications studies in spring 2012 after just three full years at FSU…also chosen as a finalist for the Danny Wuerffel Trophy, presented to the Division I player who best exemplifies excellence in the community, classroom and on the field…earned one of two academic awards for the junior class for his work in the classroom and voted a Special Teams MVP at the team’s annual banquet…recognized with one of four community service awards given out at the end of spring practice 2012. Sophomore kicker who was a semifinalist for the Lou Groza Award, which is presented to the nation’s top placekicker…a two-year starter, who handled all of the kickoff, field goal and PAT kicks for the Seminoles…scored a career-high 119 points, which led the team and the ACC and was the third-most in a single-season in FSU history…became just the 10th kicker in FSU history to score 100 points in a season and the 12th player overall to eclipse the century mark…converted 22 of 28 field goal attempts and 53 of 53 PATs…had at least one field goal in 13 of 14 games…his career-long field goal of 55 yards came as time expired in a 16-13 victory over Clemson, which is the longest walk-off winning kick in ACC history…Hopkins’ game-winner – which was also the longest field goal in the ACC in 2010 – came after he missed a potential game-winner a week earlier from 40 yards against North Carolina…earned ACC Specialist of the Week honors for his effort against the Tigers…was 6-of-6 on field goals inside the 30, and 17-of-19 inside the 40… also boomed a 52-yarder at Oklahoma, matching his previous career long…matched his career-high, set in 2010 in the Gator Bowl, with four field goals in the Chick-fil-A Bowl which was a bowl record…had three field goals against Clemson and Maryland in consecutive games…Hopkins’ 41 touchbacks ranked second in the country and was the most by an FSU kicker since All-American Sebastian Janikowski in 1999 which makes him a valuable contributor in the field position game…he and the Seminoles led the ACC in net kickoffs with a 47.1 average and opponents starting on average just shy of the 22-yard line…in all 41 of his 86 kickoffs (47.7 percent) went unreturned…one of four Seminoles selected to the ACC All-Academic football team…named the team’s Co-Special Teams Most Valuable Player along with punter Shawn Powell and also received an academic award for one of the top GPAs in his class at the team’s annual football banquet. 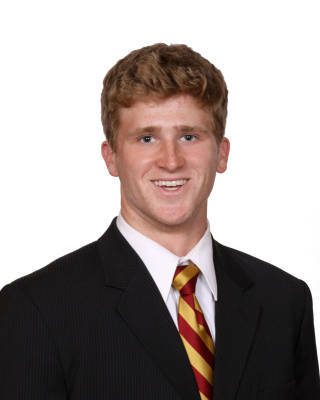 True freshman who won the starting job in preseason competition with James Esco and handled all of the kicking duties…led the Seminoles in scoring with 97 points; the most prolific freshman campaign by a kicker in program history…converted four of five field goal attempts to set an FSU bowl record in the 33-21 Gator Bowl win over West Virginia…converted his first collegiate field goal attempt from 52 yards against Miami…was successful on 19 of 27 field goal attempts, including 11 of 13 from inside 40 yards…finished the season with a streak of 33 consecutive successful PATs after struggling with his consistency early in the year…his 24 touchbacks led the ACC – nine ahead of his nearest competitor and ranked fourth nationally…opponents’ average starting point following a kickoff was its own 25…selected to Sporting News ACC All-Freshman squad…one of three Seminoles selected to the ACC All-Academic Football team. Was the consensus top-rated kicker in the country coming out of high school…two-time Texas 5A All-State selection…USA Today first team All-American as a senior…participated in the Under Armour All-America game…like former FSU standout kickers Scott Bentley and Sebastian Janikowski, is a gifted athlete who also contributed to his Clear Lake High School team as a starter in the secondary…an outstanding high school student who boasted better than a 4.0 weighted GPA…selected FSU over Notre Dame, Missouri and Kansas State…born October 1, 1990.